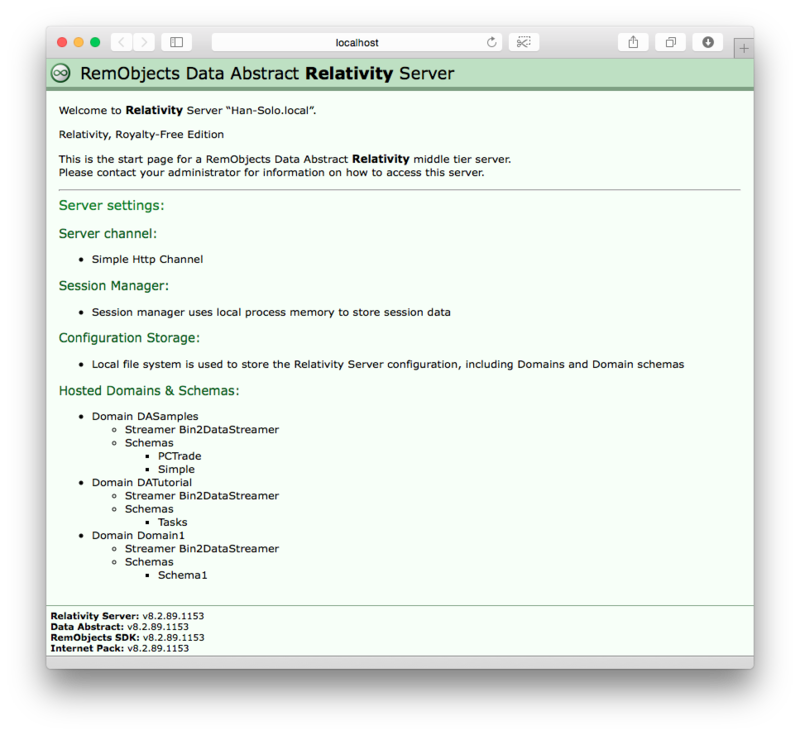 Every instance of Relativty has a web interface that not only provides basic information about the server, but also allows you to fully configure the instance of Relativity. Once you have authenticated you will be able to change the network settings, modify the login providers, add/delete and change the domains and their schemas. To access the basic information point your browser to the machine that the instance of Relativity is running on. For instance on your local machine point the browser to http://localhost:7099. As you can see this particular instance of Relativity is using Simple Http Channel, that it has three Domains DASamples, DATutorial and Domain1 and what the available schemas are for those domains. Admin Dashboard gives an overview of using the admin dashboard to configure the Relativity Server instance. Network Settings section is where customize the servers network settings to be suit your needs. Login Providers section is where customize the servers network settings to be suit your needs.